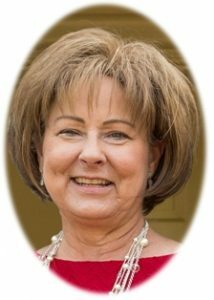 Barbara J. Pinkowsky, age 61, of Cedarburg, WI, formerly of Port Washington passed away Saturday, September 23, 2017 at Cedar Springs Health and Rehabilitation in Cedarburg. She was born on February 15, 1956; daughter of Eugene W. and Delores J. “Dorie” Stoelb Ewig. Barb graduated from Port Washington High School, class of 1974. She worked for a bit at Simplicity Manufacturing, later moving to Texas and working for Mark Travel. She returned to Wisconsin and went back to school. She was an Administrative Assistant for over 20 years at Milwaukee Area Technical College (MATC) – Mequon. She was a great mom that took great pride in family and friends. Animals, both cats and dogs, were always a source of joy for Barb. One of her great passions was music, attending concerts no matter her age. Barb was always up for an adventure or road trip, and made many memories out on the lake. She loved the water her entire life, doing water ballet as a child and becoming a life guard later on. Barb became more active bicycle riding with her changing health. Barb is survived by her daughter Leah Pinkowsky of Cedarburg; her father Gene Ewig of Port Washington, her boyfriend Dave Baumann of Saukville and his children Mike (Carrie), Dan (Melissa) and Sarah Baumann; her brothers Jeffrey (Debra) Ewig of Port Washington, Michael (Kim) Ewig of Virginia Beach, VA and Jim (Sue) Ewig of Superior, CO, niece Erin Ewig, nephews Matt, Andrew (Alesha) and Jack Ewig, other relatives and friends. She is preceded in death by her mom Dorie Ewig. Memorial Mass of Christian Burial will be celebrated at 6PM, Thursday, September 28, 2017 at St. John XXIII Parish-St. Mary’ Church, 430 N. Johnson Street, Port Washington, WI. Reverend Patrick Wendt will be the celebrant. Family will receive relatives and friends from 4-6PM Thursday prior to the Mass AT CHURCH. Interment St. Mary’s Cemetery, Port Washington. Memorials to the Columbia St. Mary’s Van Dyke Cancer Center and the Saukville Humane Society appreciated. I will always remember you Barb, you had a kind word for me when I was outcast at TJ. Bless Your Kind Soul. My thoughts;prayers; meditations to all of Barb’s family. I will always appreciate Barb’s support in her position as nursing receptionist and vital office staff at Milwaukee Area Technical College. She was a very supportive staff to staff;faculty;and students. She always enjoyed sharing joyous stories and memories of her family with us!!!! Gene, Jeff and Families, I am so sorry to hear of Barb’s passing. Too many memories to count. May she be at peace. May you all find comfort and Gods loving Grace at this sad time. I remember working with Barb during high school at the store. She had a warm heart and always a smile. My condolences and prayers for your peace. My sincere sympathies to the Ewig family and friends. Barb was always popular in high school and was always involved with something. Always friendly. Will be missed by all. Dear Barb: I am going to miss your smiling face and wry sense of humor. Thank you for always having a pen, pencil or highlighter when I needed one and forgot my own. You looked after all of us in the nursing department very well. My sympathy to your family and friends. Joe and I are deeply saddened to hear about Barb. She always such a great smile and personality to go along with it. We are praying for all of you during this difficult time and know those precious memories will be held dear to your heart. Barb will be greatly missed. I am so sorry to hear of Barb’s passing. It brought back many memories of the Ewig family living just up the street. My first job was working for Ewig’s . My thoughts and prayers are with all of those close to her. My goodness, in her photo, she looks so much like her mother! Condolences to the entire family. Barb was always a cheerful classmate who was always willing to help where/when ever needed. She will be missed.